At first glance what do you see? A bare, dark, all alone, ugly tree? Look again, do you see that hint of light on the horizon? It is just enough light to make the tree pop, giving definition to each gnarly naked branch. What’s going on in your life right now? Is it filled with joy and excitement for Christmas, or are you under a cloud of dread and gloom? Maybe you are in the midst of a trial that is weighing you down in darkness. Do you feel all alone? I’m told these are very common for many people around the holidays. Do you think you can let a little bit of light in? Jesus wants to shine light on and through you. Call out to Him! He will light your path and lead you through this time of darkness. Remember, it’s not christMAS; it’s CHRISTmas. 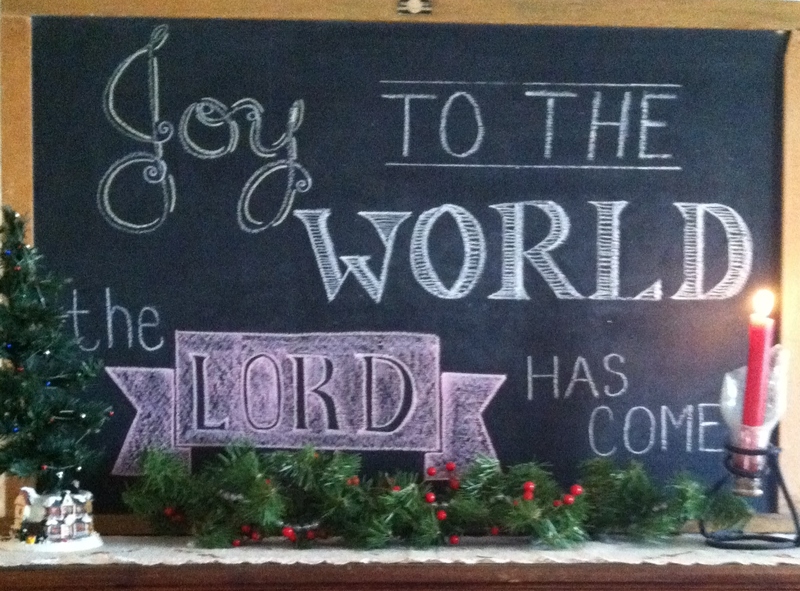 Christmas is less than a week away, no matter what your circumstances, look for the joy of Jesus. In Luke 2, the angel brought the good news of great joy. Earlier in the day, I watched as two gaggles of geese flew over the yard. Honking as they went, one gaggle continued northward and the other southbound. This stumped me on this lovely fall day. It appeared that those geese weren’t sure if they should be coming or going. Do you ever feel that way? In the hustle and bustle of the quickly approaching holiday season, it is easy to wonder if we are coming or going. Be careful not to allow yourself to fall in that harried trap. There may be a lot of cooking, cleaning, shopping, gift wrapping, traveling, parties, and obligations that can become burdensome and exhausting. Remember why you have all these tasks, and maybe ask yourself a few questions along the way. Do I have to do everything, or can my husband and children help? Are there any family, work, or social gatherings that can be attended every other year instead of every year? How can I make the holidays more enjoyable and less stressful for myself and my family? Oftentimes, my biggest stresser is holding unrealistically high expectations.. When I can relax those expectations, the holidays are more enjoyable for me as well as for my family. Maybe you share the same problem. When you find yourself wondering if you are coming or going, Stop! 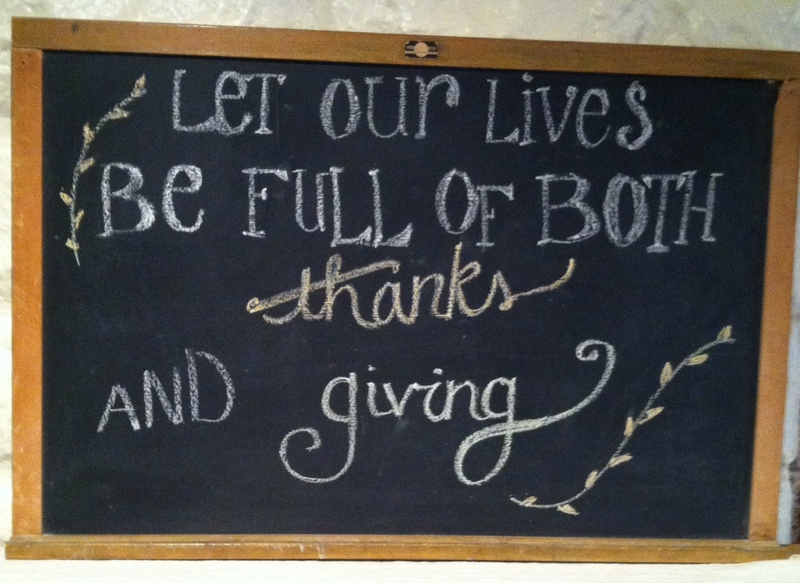 Give thanks, reflect on Christ, and anticipate memory making in the New Year. I love family gatherings where stories of days-gone-by are swapped. You know, the ones that siblings spill each others’ shenanigans; or the “when I was your age…” tales. These stories help the generations connect with one another. Oh! And what about the old church pew? Christmas is a great time for sharing stories. In a couple days we will gather four generations together. I wonder if my dad will tell about the Christmas when he got an air rifle, or if my Mom will tell about Grandpa always reading the Christmas Story from Luke 2? As your family gathers for the holidays, linger at the dinner table for some story telling. To get started, you might ask, “What is your best childhood Christmas memory?” That’s all it usually takes and other stories will spin off there. The results usually will not disappoint. End your dinner with some laughter, learning something from others and observing how the generations connect through story telling. Merry and Bright or Blue? So often in our hustle and bustle of shopping, baking, and celebrating we over look those around us who are having a hard-candy Christmas, barely getting through. Some may be very lonely and sad because they cannot be with their family. Others may be in the midst of a difficult time financially or struggling with their health. The empty chair of a loved one is yet another reminder that he or she has passed on forever leaving an empty hole in the lives of the family. God loved us so much that He sent his one and only son that first Christmas so long ago. This year I’m looking for ways to share that love with others who may be dreading the holiday season. I’ve been brainstorming ideas: offer to help put up decorations, bake extra goodies and share, have a game night, Christmas carol, invite to be part of our Christmas day, stop in for a visit, call and visit, leave an anonymous gift on porch… Can you think of other ideas? If so, please share a comment. There are 25 days until Christmas and a whole month until we ring in the New Year, I challenge you to intentionally look for someone that needs their Blue Christmas turned to White, and then do something to share the Joy of Christmas.